Running an OR is hard. Improve your data, decisions and results. With Periop Insight™ powered by AORN Syntegrity®. The exclusive analytics tool of AORN®. With Periop Insight™, we're helping leading hospitals and health systems improve data, decisions and results. Syus worked with the perioperative business team at UCSD to identify and resolve hidden issues in their case data exposed when presented in Periop Insight. With increased confidence in the reliability of the underlying data, the team was eager to make the information resulting from their analysis to all stakeholders. The stakeholders had greater opportunity to review the information and their confidence grew as well. The larger group was able to move beyond validity questions and focus on improvement. The administration at Saint Thomas West Hospital was prepared to add additional ORs to meet demand. Syus assisted the perioperative leadership team with an additional review and determined there was an opportunity for compression of the schedule in the existing capacity. Rather than add additional rooms, Saint Thomas was able to cut block rooms from 15 to 11, shut down one room, and add volume in 2 rooms. As a result, the hospital was not only able to delay the capital expense, but actually reduced current operating expenses while increasing volume and revenue. We partnered with AORN® to introduce Periop Insight™, a data analytics solution for today's busy perioperative leaders to improve their OR performance. Periop Insight eliminates the hard, endless work of getting the information you need to run your OR, giving you the tools to make better decisions, share your insights and engage surgeons and administrators. Periop Insight takes data generated by your EHR, supply and HR systems, validates it and ties it all together in a single, secure hosted data warehouse. You use the online dashboard to explore curated key performance measures powered by our calculation engine and make better data-driven decisions. Periop Insight generates personalized presentation-ready materials to keep surgeons and administration informed and engaged in tailored improvement efforts. You've got choices for getting value from the periop data you're collecting - mastering Excel, hiring costly consultants, waiting on massive data warehouse projects, licensing overly expensive tools, begging IT for reports - so why choose Periop Insight? Ok, not a fair question, but an easy answer. With Periop Insight, powerful insight is easy to get. Implemented in days, not months. Designed for clinicians, not IT. Periop Insight helps with issues you run into every day. When you know what Periop Insight costs, you'll love it even more. * Here's the fine print. Chances are it will cost you less. We offer discounts for more ORs, longer commitments and GPOs members. Periop Insight is so easy to implement and we are so confident you will love it, we offer everyone a chance to see it in action on their data. 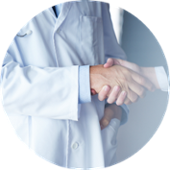 We're passionate about advancing the art and science of perioperative management. We try to do our part by pulling together the latest research, trends and innovations, all presented with our take on how to apply them in practice and your feedback on what really works. Syus is excited to announce a partnership with The J2 Group to support perioperative performance improvement through a joint analytics and consulting offering. The partnership will allow hospitals and health systems usings Syus' data-driven tools direct access to J2's hands-on services for optimizing clinical and business processes. Customers working with Syus and J2 will have a comprehensive solution to implementing and maintaining perioperative improvements. Are you ready for Periop Insight? Are you ready for Syus?